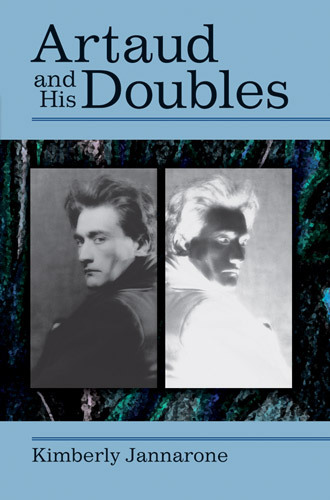 Artaud and His Doubles is a radical re-thinking of one of the most well-known and influential theater artists and theorists of the twentieth century. Placing Artaud's works and rhetoric within the specific context of European political, theatrical, and intellectual history of the early twentieth century, the book reveals Artaud's affinities with a disturbing array of anti-intellectual and reactionary writers and artists whose ranks swelled catastrophically between the wars in Western Europe. Kimberly Jannarone shows that Artaud's work (particularly his famous 1938 manifesto, The Theater and Its Double) itself reveals two sets of doubles: one, a body of peculiarly persistent received interpretations from the American experimental theater and French post-structuralist readings of the 1960s; and, two, a darker set of doubles brought to light through close historical examination—those of Artaud's contemporaries who, in the tumultuous, alienated, and pessimistic atmosphere enveloping much of Europe after World War I, denounced the degradation of civilization, yearned for cosmic purification, and called for an ecstatic loss of the self. Artaud and His Doubles will generate provocative new discussions about Artaud and fundamentally challenge the way we look at his work and ideas. This book will appeal to scholars of theater, drama, French arts and literature, cultural studies, and intellectual history, as well as to those interested in the history of art and culture of the interwar era. "While critics have long focused on Antonin Artaud as the epitome of the suffering and martyred artist and on the 'liberating' aspects of his work, argues Kimberly Jannarone, the time has come to situate him within a fuller historical, political, and cultural context. Her important and highly readable book asserts that, far from being a symbol of liberation and 'revolt,' Artaud's work has important affinities with repressive and irrational strands of fascist thought." "An extremely provocative, original, and compelling redirection for scholarship on Artaud and for the histories of the avant-garde with which his work is frequently associated." "Artaud and His Doubles shows the extraordinary discoveries that can come from meticulous archival research, sound historiography, and rigorously theoretical criticism. In these pages, Kimberly Jannarone restores to the historical record Artaud's actual practice as a director and actor and roots his thinking about the theater firmly in its cultural and political contexts. Doing so, she overturns long-lived and widespread misperceptions of that legendary avant-gardist. The Artaud that we find in these pages is not the one we're familiar with, not the desperate romantic we've come to know in the writings of Susan Sontag, the radical performances of the Living Theatre, and the poststructuralist meditations of Jacques Derrida and Gilles Deleuze. Indeed, the mythical Artaud of the 1960s counterculture and the theory generation must now give way to the facts of the matter. This is theater history at its very best—this is why theater history matters." Cover photo © 2010 Man Ray Trust / Artists Rights Society (ARS), NY / ADAGP, Paris. Digital Image © The Museum of Modern Art/Licensed by SCALA / Art Resource, NY. "Jannarone has written a remarkable book about Artaud and the Theatre of Cruelty. This fascinating study should shake the foundations of Artaudian scholarship." "...a daring and rigorous historical reinterpretation that defies critical consensus on Artaud." "Artaud and His Doubles brilliantly addresses our growing uneasiness with Artaud’s explicit attack on reason and his implicit attack on democracy...this book contributes to a clearer rendering of a charismatic individual who, while occasionally speaking of a type of artistic freedom, did not hide his intention to create a theatre reflecting the menace he perceived in the world." " I commend Jannarone for expanding my knowledge of theatre history and the Artaud phenomenon, and especially for forcing me to rethink and defend my position on this 'madman.'" "Among the most significant books written about the avantgarde in the last three decades." "One of the most profound books to have emerged in theatre studies in recent years. Anyone interested in Artaud and in avant-garde theatre in general should read it." "A well-documented, elegantly written groundbreaking study that provides copious evidence that will change the way theater practitioners view Artaud." "This is a singularly important book, and its influence is sure to be felt for a long time." "Thus Jannarone reproves and leaps free from the dead weight of much previous Artaud scholarship. To students and scholars concerned with Artaud’s philosophical outlook, her book should prove provocative and fertile; to those engaged with his theatrical ideas it represents an indispensable portolan." Watch: Kimberly Jannarone lecture: "Crowds, Cruelty, Communion"